In the last View from the Arch, Andrew Hobbs wraps up the campaign for John Howard and Kevin Rudd, and casts a brief glace statewards. Western Australia's flat white, long black, latte and hot chocolate set have maintained their strong support for the Liberal Party, delivering an espresso shot in the arm for the government the day before the election. Perth entrepreneur Dean Scook has been sentenced to three years in prison after being convicted in the District Court over a market deception scheme involving shares in a junior explorer in 1998. Perth-based BigHill Resources Ltd has today opened its initial public offer, seeking to raise $7 million to fund acquisitions and exploration of its Cookes Creek Tungsten project. West Perth-based iron ore explorer Vector Resources Ltd has closed its initial public offer oversubscribed, raising $12 million for exploration and development of its Nabberu Iron Project. The uranium asset spin-out of East Perth-based diamonds explorer North Australian Diamonds Ltd, Top End Uranium Ltd, has closed its initial public offer oversubscribed, the parent company has announced. Subiaco-based oil and gas explorer Modena Resources Ltd has performed well in its debut on the Australian Securities Exchange, closing up 20 per cent in its first day of trade. Perth-based mineral exploration company Jameson Resources has launched its initial public offer, aiming to raise $2.4 million to fund a work program and further exploration of its tenements. West Perth-based tin and base metals company Bellevue Resources Ltd will raise $3.5 million in its initial public offer, to be used for further acquisitions and exploration of its North Queensland project. Perth-based Scotgold Resources Ltd plans to raise $4 million through its initial public offer to fund exploration of its gold, silver and base metals projects in Scotland. The directors of Home Building Society Ltd have moved to reassure shareholders that its proposed merger with Bank of Queensland would not be affected by BOQ's failure to complete a separate merger with Mackay Permanent Building Society Ltd.
Nedlands-based Lodestar Minerals Ltd, a subsidiary of Dioro Exploration Ltd, has launched its prospectus, aiming to raise $5 million in its initial public offer to pursue nickel exploration over Dioro's Penfolds project. West Perth-based Global Gold Holdings Ltd has performed strongly in its debut on the Australian Securities Exchange, closing up 35 per cent on its offer price. West Perth-based Heron Resources Ltd will raise $17.2 million through the placement of 15 million shares to CVRD Inco Ltd, just days after raising the same amount in a two-tranche placement of the same number of shares to BHP Billiton. West Perth-based Bathurst Resources Ltd will open its initial public offer today, aiming to raise $3 million for gold, nickel and base metals exploration at the Mount Clifford prospect, northwest of Leonora. The commanding lead held last week by Prime Minister John Howard and the Liberal Party was not all froth and bubble, according to the latest results from the Miss Maud's Coffee Bean poll. Nedlands-based investment company Oceanic Uranium Fund Ltd will raise $50 million in its initial public offer, raising funds to pursue investments in the uranium and broader energy sectors, the company has announced. Michael Kiernan-chaired Territory Resources Ltd has acquired about 14 per cent of Herdsman-based mineral sands miner Olympia Resources Ltd, causing Olympia's share price to rise sharply for the second day running. WA politics reclaimed the spotlight this week as Upper House MP Shelley Archer quit the ALP. Meanwhile both federal parties launched their campaigns, Foreign Affairs spokesmen were in furious agreement and our expats started voting. West Perth-based iron ore explorer Atlas Iron Ltd will pay $15 million in port facilities charges to the Port Hedland Port Authority as an up-front contribution for the planned $225 million upgrade of the Utah Point public access facility. Subiaco-based Mallee Gold Corporation Ltd has announced plans to raise $5 million in its initial public offer, to raise funds for exploration of its nine goldfields tenements. Subiaco-based Emmerson Resources Ltd has opened its initial public offer, aiming to raise $15 million to fund exploration of its iron oxide copper-gold assets in the Northern Territory, the company has announced. West Perth-based Carpentaria Exploration Ltd, a spin-off of Giralia Resources NL, closed up 24 per cent in its debut on the Australian Securities Exchange, after raising $7.5 million in its initial public offer. Perth-based Eagle Nickel Ltd has opened its initial public offer, aiming to raise $9 million to fund exploration on its 11 nickel, uranium, molybdenum and platinum projects. Perth-based gold and base metals explorer Noah Resources NL has launched its prospectus, aiming to raise $3 million in its initial public offer to fund exploration of its tenements in New South Wales. 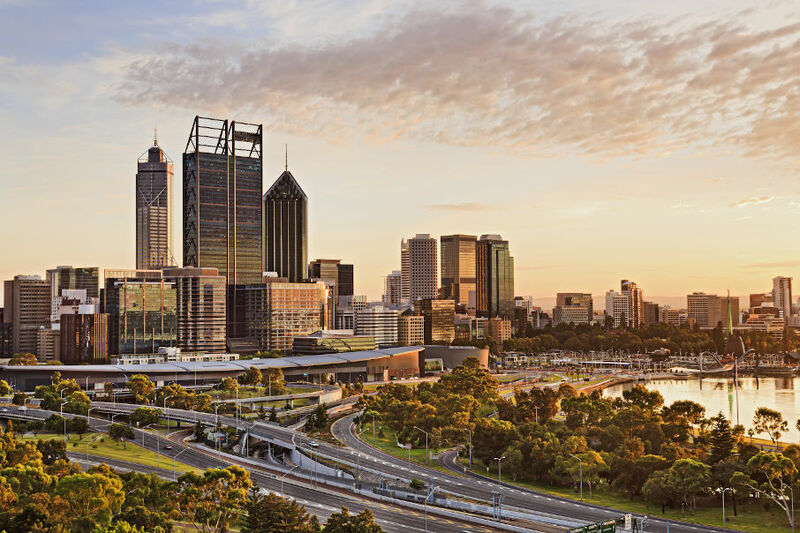 West Perth-based uranium, precious and base metals explorer Emergent Resources Ltd will raise $5 million in its initial public offer to fund an exploration program of its existing tenements, the company has announced. As the nation watched horses on Tuesday, Wednesday saw a bullish Reserve Bank increase interest rates to 6.75 per cent. Meanwhile, debates were held on the Environment and Industrial Relations as the WA government released a controversial study. Applecross-based Kingsrose Mining Ltd will open its initial public offer today, aiming to raise $6 million to fund the development of its Sand Queen gold mine in a joint venture with Reed Resources Ltd.
Perth-based gold exploration company Silver Lake Resources has closed its $30 million initial public offer early, due to significant public interest, the company has announced. North Perth-based Backreef Resources Ltd has issued a supplementary prospectus extending the closing date of its initial public offer to January 31 2008 after failing to raise sufficient funds during its initial offer period.